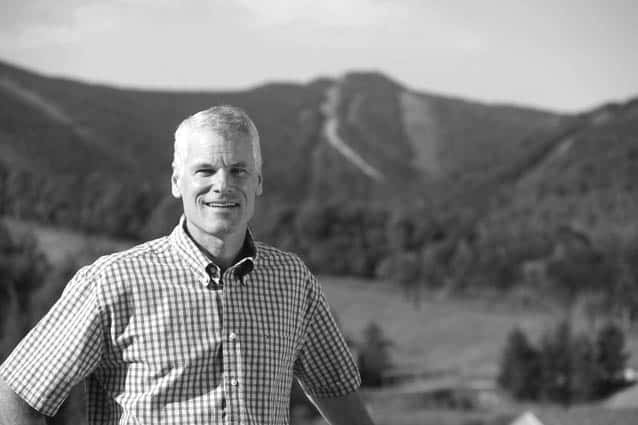 Editor’s note: Mike Solimano is the president and CEO of Killington Resort and Pico Mountain. Mountain Times: Killington Resort has officially asked the town of Killington to help offset the costs of hosting another World Cup event next year with $100,000. The Select Board has agreed and has included it in its budget to be voted on at Town Meeting. If approved, what will this money be used for? What happens if the World Cup does not come back to Killington next winter (when will that be confirmed?) What if the event is cancelled due to weather? Mike Solimano: Hosting World Cup races in Killington on Superstar was spectacular, and I want the crowds, racers and atmosphere to return. In order to make this happen, we are ramping up efforts to add sponsors and revenue for future races, while also lowering operational costs. We know the positive impacts and value of these races are long-term, and we don’t expect World Cup races to ever turn an immediate profit. As I’ve presented to the Select Board and shared here in the Mountain Times previously, we lost about $1.2 million on the 2016 World Cup, but our parent company Powdr is covering that shortfall. Powdr will help us cover World Cup losses in future years should we have them, but doing so at this high level is not sustainable. The Killington Select Board has included $100,000 of tax revenue—which was already earmarked for local economic development—in the 2017-18 town budget. These funds will be used to cover hospitality costs like athlete food and prize money. Should we not host World Cup races next year for any reason, this money would not be spent by the resort, and would remain in the town budget. I expect to know about Killington’s World Cup future in mid-March, but based on preliminary discussions with Powdr and the FIS, if we are able to secure funding and sponsorships to help defray a portion of the cost of the event, then we would look to sign a 2-3 year agreement to bring the Women’s World Cup back to Killington on Thanksgiving Weekend. MT: Some residents at a recent Select Board meeting floated the idea of repealing the 1 percent local option sale tax instead of including $100,000 in the town budget. Does the resort support this plan? MS: The proposal at the Select Board meeting was to repeal only the sales and use portion of the 1 percent option tax (leaving 1 percent local option rooms tTax and the 1 percent local option meals and alcoholic beverages tax intact). This repeal would not be for next year but would take effect in the following year to allow the Select Board time to adjust budgets without having to rush before the end of this year. The money raised by the meals, alcohol and rooms portion of the option tax (which Killington Resort is the largest payer by far), will still be collected by the town and used as the Select Board believes is appropriate. The repeal of the sales and use portion of the tax would end up having very little impact on the town’s budget, as the funding of summer events that are currently paid for by the town budget will be removed and these events will be funded by the resort and the business community through the KPAA. I have believed for a long time that it would be best to remove the 1 percent tax on the sales and use portion, and if this part of the tax is repealed, the resort would work with the KPAA to continue supporting the events and summer programing as is currently happening. Repealing the 1 percent sales and use portion of the option tax was originally proposed back in 2012, but was tabled so voters here in town could see if the resort followed through on plans to expand summer business, add events and build new four-season infrastructure. Since then, Killington Resort has invested over $5 million into summer and four-season assets ranging from mountain bike trails to the Beast Mountain Coaster, zip lines and helping to build out a summer events schedule so there’s something fun happening in town every weekend of the summer and fall. Accordingly, as summer business in the community steadily increased each summer, the 1 percent tax fund has grown significantly, growing by over $200,000 from its original value. Should voters remove this 1 percent tax on sales and use in town, everyone would save this tax on items such as cell phone bills, retail purchases and even gasoline. It was clear from the feedback at the Select Board meeting that many of the people who were against the repeal of the 1 percent sales and use portion several years ago are now in favor of the repeal, as they believe that the resort has delivered on our promise to invest in and grow summer. The repeal would also allow the town to get back to normal town business and allow the resort and the business community to focus on summer events and programing. MT: How is the winter season going so far compared to other recent years? Skier visits? Occupancy rates? How are future bookings looking? Are these trends reflected statewide or are they Killington specific? MS: While the weather this year is much better than last year, it has been much warmer than two years ago, where it seemed like we never had a thaw. Our snowmaking team has done an amazing job resurfacing key terrain after this season’s bad weather events, so overall we have had lots of days with great snow conditions. Skier visits are much higher than last year but are still pacing behind visits two years ago. But our market share within the state is higher than two years ago, and this tells me that we are doing a lot of things right and continue to get a disproportionate share of skier visits in Vermont. Clearly the World Cup has helped the resort and the state from a brand recognition standpoint already, and this is helping drive visitation. I am also proud that our net promotor score, the metric we use to gauge customer satisfaction, is currently the highest it has ever been at this time of year in the history of the company. The entire community should feel positively about this, as it has been a major effort by the full community to make sure all guests in Killington are having great experiences. Take that $100,000 and use it for child care services for all the housekeepers and workers here in Killington.